Can’t get to a botanical art class? Face to face teaching is the best, but to get you started here is a combination of links to my YouTube videos and blog post descriptions. Don’t forget to look at the other tuition pages to find out about classes and workshops that are of interest to you. 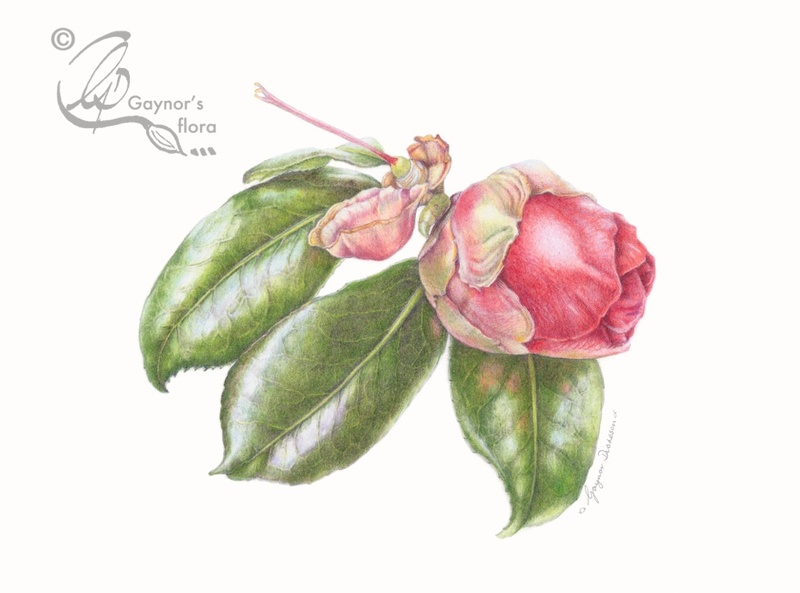 The camellia bud in coloured pencil shows both the solidity of the tightly furled bud and the delicacy of the petals. At the same time the very shiny leaves create a lovely backdrop to the flower. There is no description of the process on the slideshow of stills taken during the painting process, but there is a list of the pencils that were used. The three Malus x sylvestris ‘John Downey’ crab apples project in coloured pencil is a video created from still pictures, taken at intervals whilst I was painting the apples. Their size is approximately 3.5 x 3 cm and they were done actual size. The video gives the impression that they might have been done enlarged, but this is not the case. You will find a list of the pencils that I used in the drop-down box under the video. Coloured pencil painting of Malus Gorgeous E-book download. When opened up, click on the picture to access the ‘add to cart’ button. Botanical art video on painting a pineapple segment. Blog posts during the pineapple painting process. Step by step painting a pineapple. The importance of tracing an image to art paper without indenting the paper in the process; these links show and explain the process. 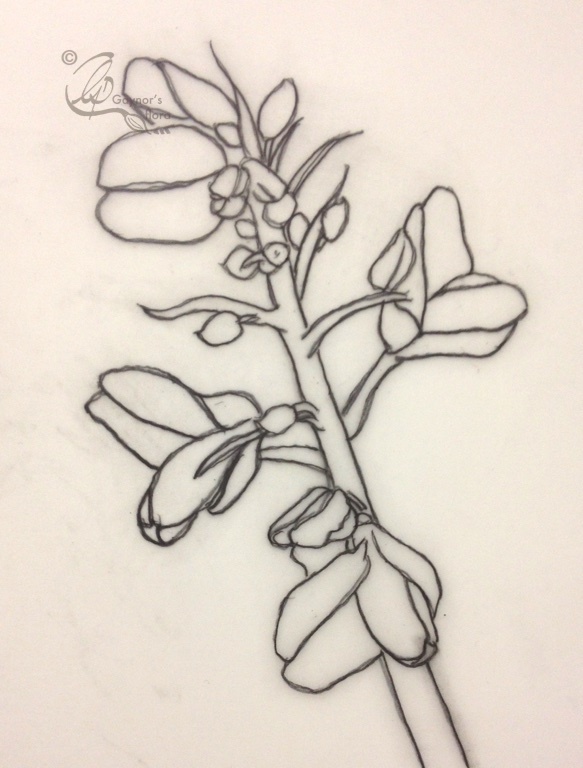 A tracing of a Gorse outline. Video showing how to trace an image to art paper without indenting the art paper. First blog describing the process and equipment used. Second blog describing the process and equipment used. 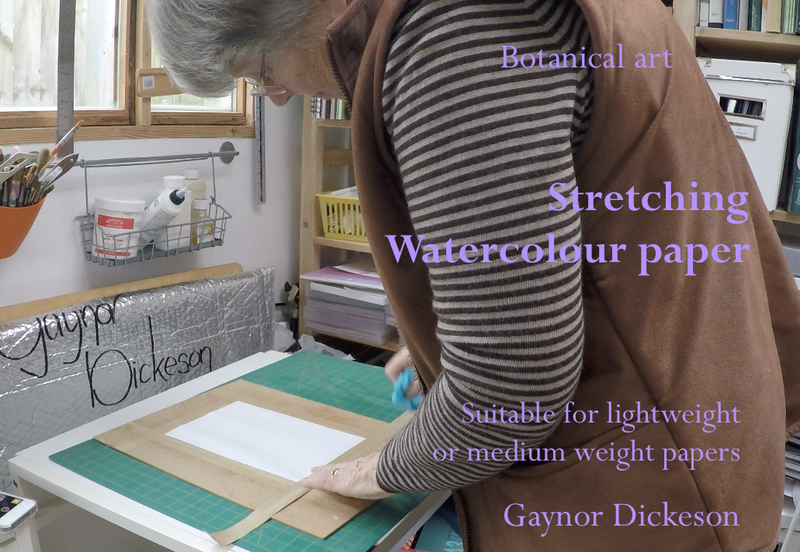 This video is part of the development of an online botanical art course that I am presently working on. In the graphite section of the course I have made a series of instructional short videos that will be available to my students who sign up for the course when it is complete. 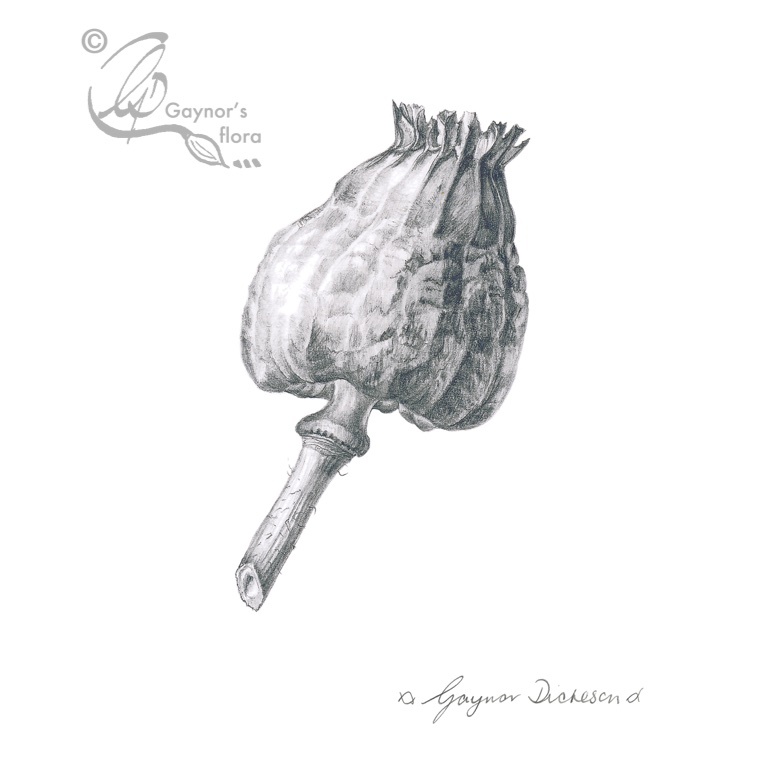 How to draw a Poppy seedcase in graphite follows on from having done my line drawing and a tonal value sketch. It starts with using the above technique to trace the image onto my art paper, through to the finished picture. 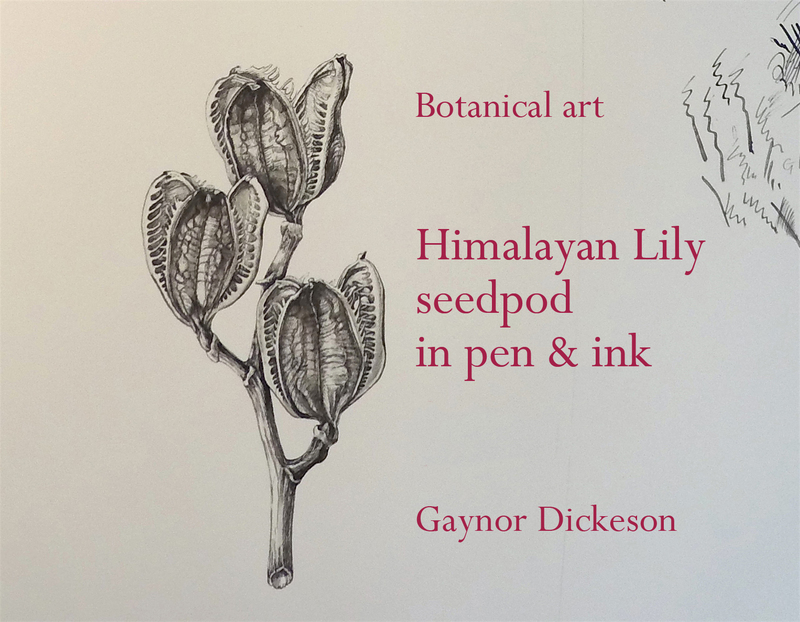 How to draw a Himalayan Lily seedpod with pen & ink. This too is a video that is the result of the work on the online botanical art course that I am writing. The third module is all about pen & ink where I will be showing different techniques in this medium practiced by botanical artists and botanical illustrators. I am grateful to several experienced artists and illustrators who have agreed to their artwork being used in this way. When working with a wet medium such as watercolour, it is necessary to stretch your paper before you start painting. That is unless the paper weight is very heavy such as 600gsm. 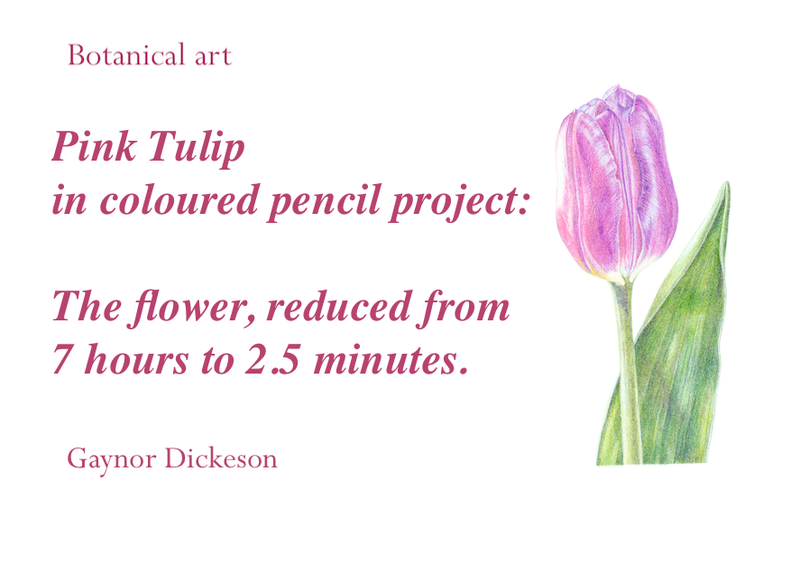 In that case, if you are a botanical artist, the amount of water that you are likely to use can generally be accommodated by that weight of paper without wrinkling. This is why you would need to stretch a lighter weight – to prevent wrinkling and keep your paper as smooth as possible. Painting the shallots is really a two-part series of videos. 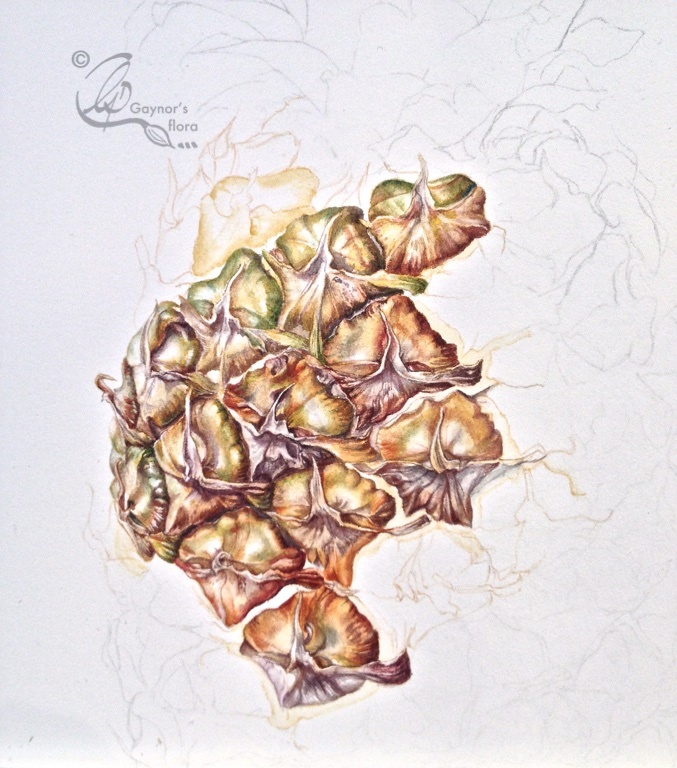 The first part (available here) demonstrates the laying of initial washes on all three shallots to create both shape and form. The remainder of the video shows the development of the two shallots to the left, leaving the third one to complete in the second video. 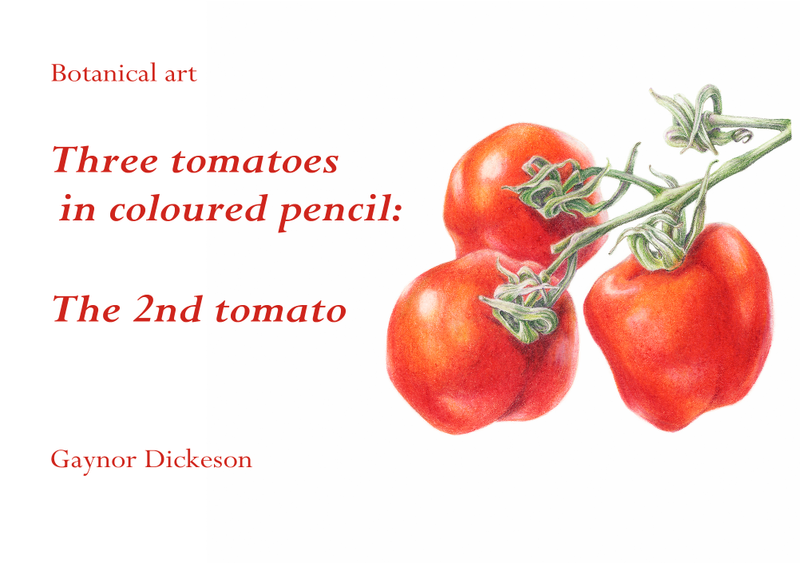 The second part is only available via the Online botanical art course for the moment. My gosh Sophie, I am so pleased to see how you have developed. Congratulations. Dear Gaynor, I just joined ArtTutor.com to see all your lessons of the crap-apple tutorial painting, and found the part of the front leaf in warm green colours is missing! Is thas available anywhere else? I was also surprised that you in the videos use a lot more colours than are mentioned in the materials list. I hope you will do more video tutorials, your explanations are so clear and easy to understand, just don’t let anybody else choose what parts are cut out, please! Hi! I wanted to sign up to ArtTutor to watch your tutorials but I can’t see any videos on the website? Have they been taken off? I hope not as I really wanted to see you painting crab apple leaves. You really inspire me! Hei Kat. 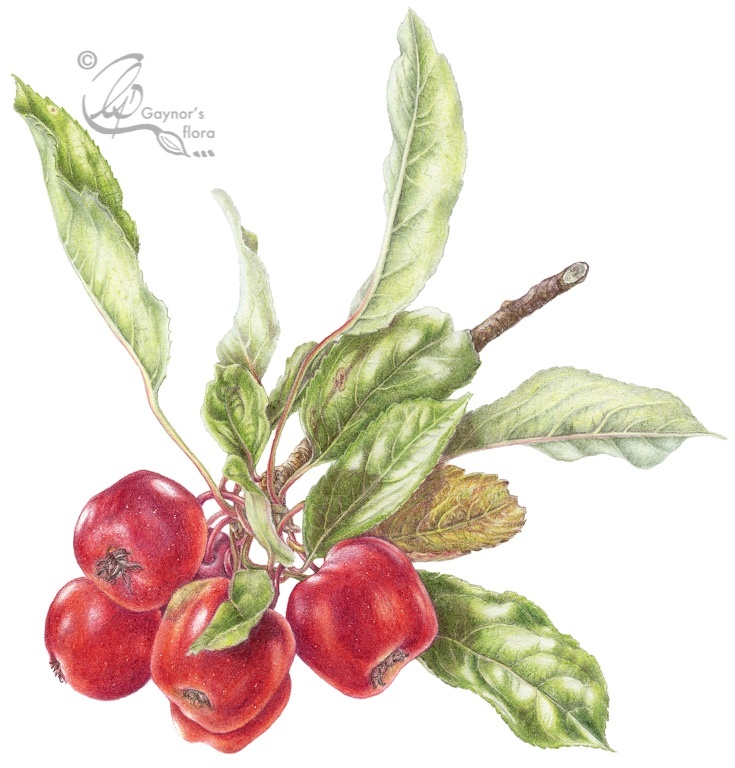 Thank you for being so positive about my Crab apple videos in coloured pencil on ArtTutor.com. I have just checked this out and I see that they seem to have changed their website quite a bit. 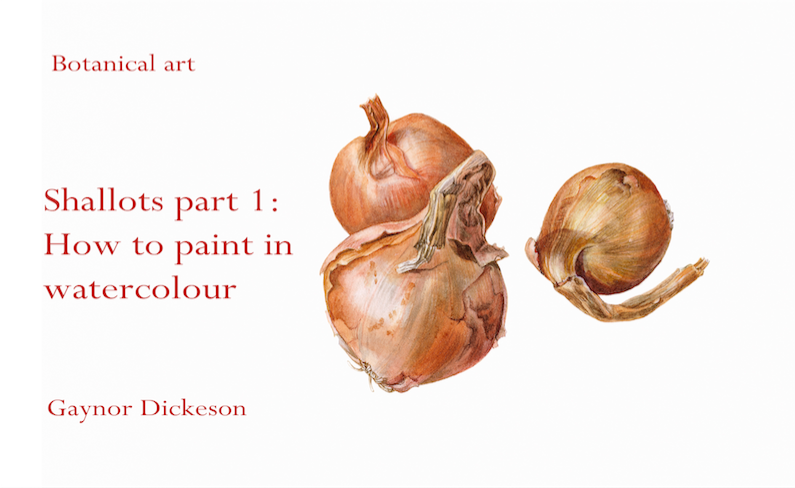 You can still open the ebook through this website and get the first video about painting the crabapples free of charge. The link takes you directly to the YouTube video. However, if you want to see any of the other videos, you can still do this by double clicking the next video link within the ebook. It will take you to ArtTutor.com, but then you need to sign up for any further videos via a subscription with them. One downside with their system now, is that they have removed the ebook from their site and given a list of pencils in a materials list. This is not the list of pencils that you will find in relation to each video in the ebook. They have only given the basic list, which is not too useful when painting something as colourful as the crab apples. Following your query today, I have been in touch with them about this, so hopefully problems that are being experienced can be sorted. I am therefore very grateful to you for getting in touch with me in the first place.